When it comes to beautiful and decadent desserts, we’ve seen our fair share of confections here on LaurenConrad.com. From cookies to candy, cake to homemade chocolate bars, our sweet tooth has been satisfied more times than we can count. 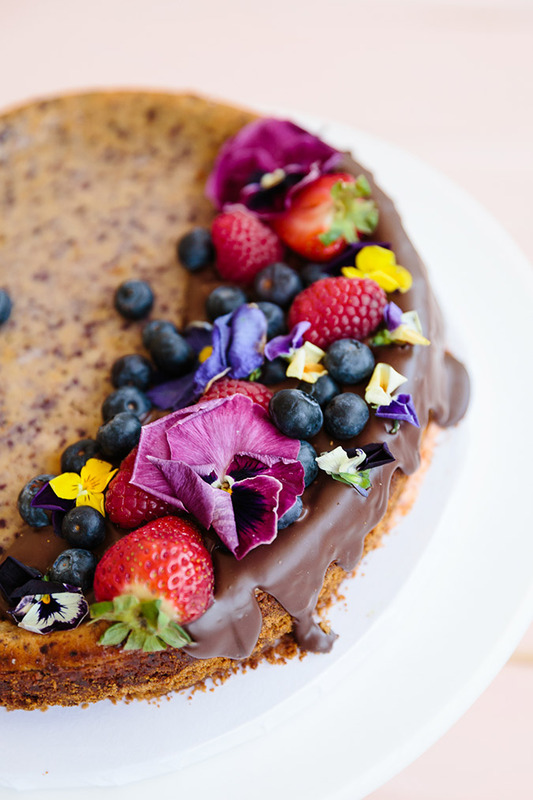 So when resident baker Lauren Lowstan showed up at our latest styled shoot, we had no idea what our taste buds were in store for. 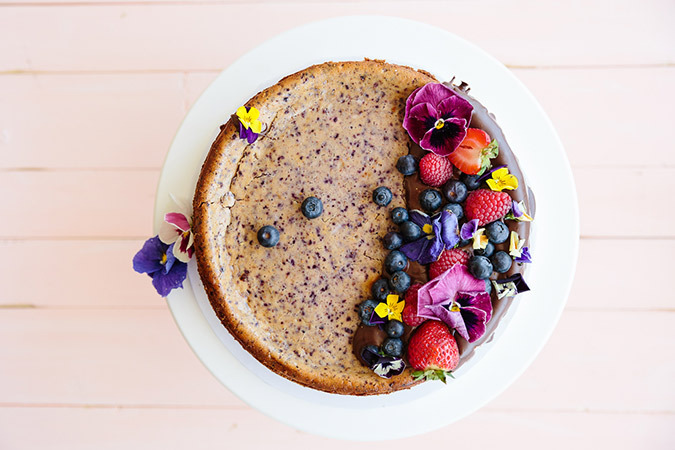 Let’s just say her latest creation combines fresh berries, stunning florals, and gooey chocolate that melts in your mouth. Count us in! 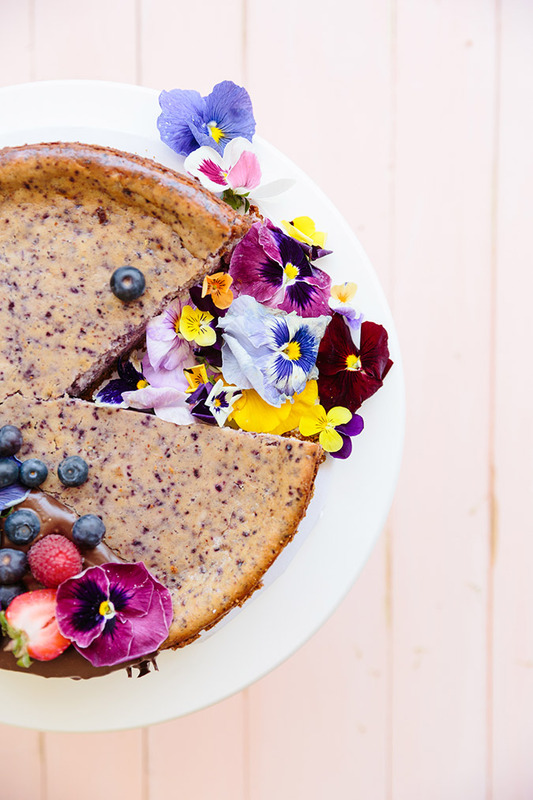 Allow us to introduce you to the only blueberry cheesecake recipe you’ll ever need. From the graham cracker crust to the chocolate drizzle on top, we won’t judge if you decide to lick your plate afterwards. Keep scrolling to save this recipe for yourself or send it to someone that loves cheesecake as much as we do! 2. Spray a 9-inch springform pan with cooking spray. 3. Melt the butter in the microwave or on the stove top. Add in the graham cracker crumbs, salt, and cinnamon. Mix until everything is combined. 4. Add the graham mix into the springform pan and press firmly into the bottom and up the sides of the pan. 5. Place the crust into the freezer while you make the filling. 6. Add cream cheese and sugar to a food processor and process until completely mixed together. 8. Add the filling into your springform pan on top of the crust. 9. Bake the cheesecake in your preheated oven for about one hour, or until the sides are set and the middle is slightly jiggly. 10. Let the cheesecake cool for at least an hour before removing the sides of the pan. 11. Melt the chocolate in the microwave in 45 second increments, stirring in between each time. 12. 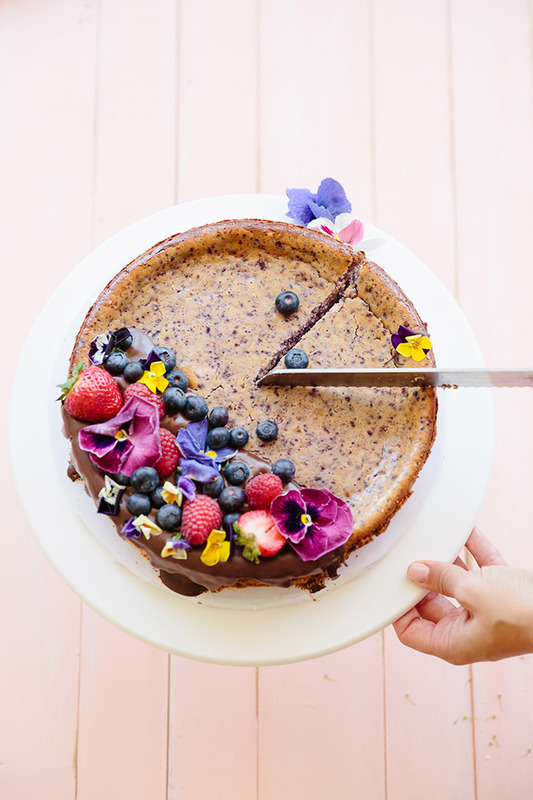 Pour onto the side of the cheesecake and top with fresh berries and edible flowers. Enjoy! What kind of dessert would you like us to whip up next?